Home > Our Blog > Press Articles > The Outdoor Curriculum in All its Glory! What does your outdoor curriculum look like? Is it simply a replication of the indoors or does it provide extra, additional and unique experiences as it should? 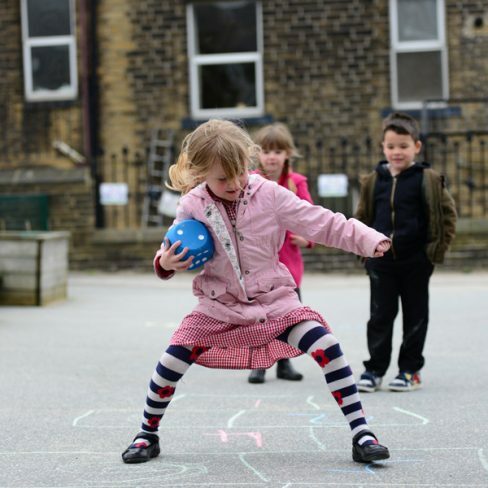 Being clear about the learning taking place in your outdoor environment is critical – and with the new Ofsted Inspection framework and the review of the Early Learning Goals refocusing on curriculum, it is important to be able to articulate exactly what you have planned for your children outdoors and why. Fortunately, this is not as difficult as it seems, as in the EYFS, we are continually delivering a curriculum through the experiences we provide for children, the resources they use, the interactions that we build into their play and the moments of ‘direct teaching’ that occur throughout the day. The curriculum is what is being taught and learned and in the EYFS includes the acquisition of knowledge, but also most critically, it must enable the development and progression of skills, competencies and learning behaviours. So, part of our challenge is how to ‘deliver’ this outdoors; what are the contexts that we can provide and how can these be built on to secure good outcomes for the children that we work with and how can we ensure that in doing this we are explicitly conscious of the ‘curriculum content’? The use of the outdoor area is a very good example of how to consider and reflect on how a curriculum (in its broadest sense) can be supported and delivered. A typical outdoor environment should provide a range of experiences that help children to access different parts of the curriculum. Of course, there are opportunities for refining and extending the control of gross motor skills and indeed a fundamental principle of using the outdoor environment is to provide precisely the opportunities that are not available inside. There is clearly no point in trying to simply replicate the indoor environment so developing the outdoors should start with that very question – how can I use the nature of this space to provide extra, additional and unique experiences? So looking at those differences helps us to understand how to optimise its use, and also ensure that the curriculum content is explicitly understood. Being outdoors means that you can do things on a bigger, grander scale than indoors. Construction can use large crates, long poles and wheels to create buildings and vehicles and big pieces of material to create dens and secret places. It provides the opportunity to solve real logistical and engineering problems as structures rise and fall, reshape themselves with new resources and different ideas. They can be as tall as you can reach and as wide as you can stretch. Unlimited by walls and ceilings, the sheer physicality of making something on this scale is only limited by imagination and ambition. Noisy, boisterous and vigorous play is less of an issue when you are outside. Running and shrieking, chasing and catching, rolling and jumping are all not only entitlements of childhood but essential to development and learning. Unfettered by the understandable need to maintain an acceptable volume level when inside, these can be moments of sheer exhilaration, endorphin generating exuberance that celebrate being a child. The necessary experience of becoming breathless, heart pumping and muscles aching through physical exertion is only possible in an outdoor environment because it has the space and the limitlessness to do so. This is why large scale, energetic games are a key part of outdoors, played together with cones, dice, balls and hoops. Outside is natural and messy. The weather is often in control of what happens. Puddles form in unusual places, rain creates and changes the consistency of mud, making it malleable and liquified. The wind mischievously scatters anything it can grab hold of and frost, snow and fog change the ordinary into magical and mysterious landscapes of possibility. Feeling the sun on your face, watching shadows form and disappear as clouds roll over the sky connects us all directly to the realties of the world. The outdoors also invariably offers a multitude of experiences to explore weather and nature and a plethora of natural materials with their potential for play; fir cones and conkers become desirable treasure and Autumn leaves an impromptu currency. A stray pigeon feather becomes an unexpected object of sensory fascination and a spiders web opens the world of how some animals live and survive. So where is the curriculum in this? Take any one of these examples and look at what is being learned during the experience. Large scale construction is gross physical – and lifting and using spatial awareness to place objects correctly is also part of understanding mathematics. Feeling a heartbeat after running is the beginning of explaining how the body works. Exploring the consistency of mud provokes language development and scientific enquiry. All of these require the motivation, persistence and curiosity to ensure that the learning can take place. This is the outdoor curriculum in all its glory! Visit Teach Early Years to download and read the full report. Early Excellence Resources Now Available on Amazon Business!